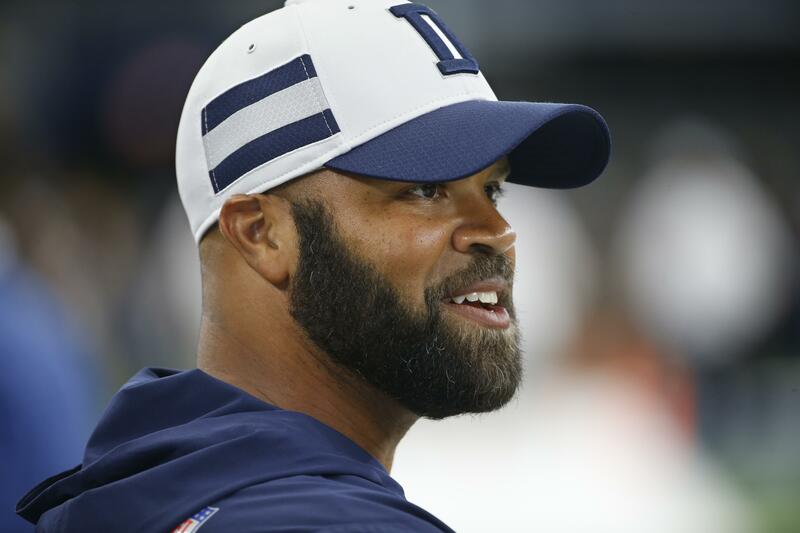 Tue., Aug. 21, 2018, 9 a.m.
OXNARD, Calif. – Kris Richard wears cleats to practice just in case the new secondary coach of the Dallas Cowboys decides to jump in on a play, which he did in training camp. The former defensive coordinator for the Legion of Boom in Seattle was the highest-ranking hire in an overhaul of Jason Garrett’s staff after the Cowboys missed the playoffs for the fifth time in seven full seasons under their coach. The fiery Richard (pronounced ruh-SHARD) takes over a group that has one thing in common with the crew he had in his early days with the Seahawks: youth. For now, it’s a stretch to say there’s another Richard Sherman, Earl Thomas or Kam Chancellor on the Dallas roster. It’s an aggressive style: cornerbacks close to the line of scrimmage as opposed to the softer zone looks often employed by defensive coordinator Rod Marinelli. The Cowboys say they wanted a new philosophy. They definitely added someone not afraid to be heard. Richard isn’t any quieter after practice starts. If a defensive back breaks up a pass in the end zone during 7-on-7 drills, Richard celebrates as if he made the play himself. Feeling the need to illustrate something during 7-on-7 work, he jumped in and covered tight end Geoff Swaim for a play. Easy to spot because of his bald head and full beard, Richard is a stark contrast to his predecessor, the soft-spoken Joe Baker. Richard joined the Seahawks as assistant defensive backs coach in 2010, the same year Thomas was drafted in the first round and Chancellor in the fifth. Sherman came in the fifth round a year later, when Richard took over coaching that position. By the end of the 2015 season – the year Richard was named defensive coordinator – Seattle had led the NFL in scoring defense four times and total yards allowed twice with a Super Bowl title. Thomas and Sherman had six All-Pro nods between them. The Seahawks slipped in Richard’s last two seasons in part because of injuries. Thomas missed the final month in 2016, and Seattle played the second half of last season without Sherman, Chancellor and pass rusher Cliff Avril. After Richard was fired , the Cowboys didn’t wait long to bring him in. Quick to dismiss what will surely be constant comparisons to his Seattle days, Richard does acknowledge the success can make a difference as he tries to instill his message with just his second NFL team. Terence Newman was the last Dallas defensive back with five interceptions in a season – eight years ago. There have been failed efforts since to find playmakers. The Cowboys believe that changed with last year’s draft : Awuzie in the second round, followed by Jourdan Lewis in the third. Dallas made it three defensive backs out of the first five picks with safety Xavier Woods in the sixth round. The biggest move for Richard since coming over was immediately returning 2015 first-rounder Byron Jones to cornerback after a year at safety and a career of going back and forth. Richard likes Jones’ size on the outside – another part of the model in Seattle. The Cowboys have three interceptions in the first two preseason games, including a highlight-reel grab when Awuzie made a leaping tip with one hand and caught the ball falling backward last week against Cincinnati. Dallas is thin at safety after a hamstring injury to Woods against the Bengals that could keep him out of the opener. Woods’ absence will only fuel speculation about the future of Thomas, a holdout in Seattle. He was seen telling Garrett to “come get me” in the tunnel after Seattle eliminated Dallas from playoff contention last December. Richard has his answer for that Seattle question as well. For Richard, it’s a fiery focus. Published: Aug. 21, 2018, 9 a.m.